It is well known that B2C organisations are advanced when it comes to digital marketing, but B2B companies are catching up. Nowadays, B2B organisations constantly need to add additional digital value in order to survive in the current marketing landscape. This means that marketers have to look beyond online marketing and learn to make use of, amongst other things, data. I asked Hans about his presentation at the B2B Marketing Forum – what the audience can expect, and why digital marketing is an important topic. What can the audience expect from your presentation at the B2B Marketing Forum? Why must businesses add more digital assets in order to survive? If you could give one tip to the reader over your topic, what would it be? 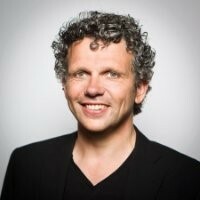 Hans will speak about digital marketing at the B2B Marketing Forum 2017 on March 16th. Are you curious to know more about the schedule of the Marketing Forum? Check it out here!